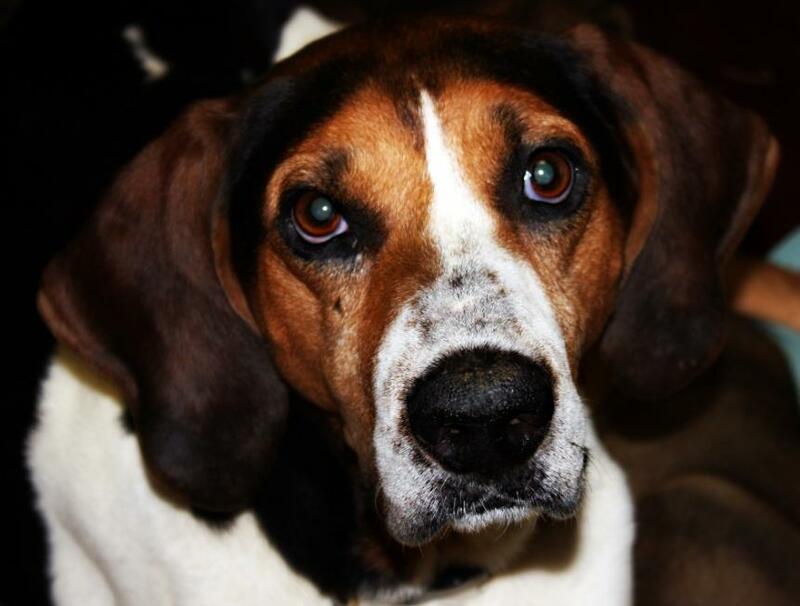 Molly was found caught in a coyote trap by a Campbell County Animal Control officer. She had significant wounds to her front leg that required debridement, sugar wraps, and antibiotics. The Friends of Campbell County Animals covered the treatment costs. Now that Molly is well enough to be spayed, they asked us to sponsor the surgery and associated costs plus her microchip, so she is ready to be adopted into a forever home! Almost Home Animal Rescue took in a beautiful boxer, Molly, with a terrible double eye infection and glaucoma that medicines would not correct. Because of her pain, it was recommended by two vets that both eyes be removed, since Molly had been practically blind anyway. 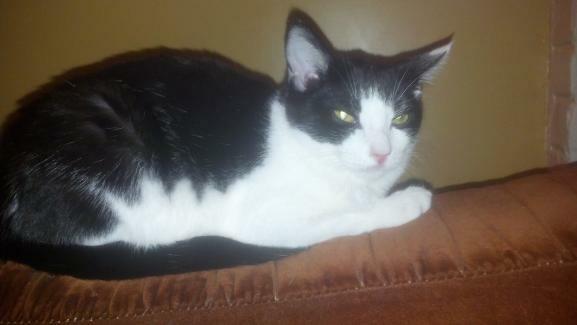 The rescue tells us that Molly has a new attitude, that she is lively and playful and getting around great. She is ready for a new family! Molly was rescued from a hoarding situation in Georgia. Several of her roommates died from Parvo or from being attacked by aggressive unaltered males also living there. Molly was strong enough to survive Parvo. 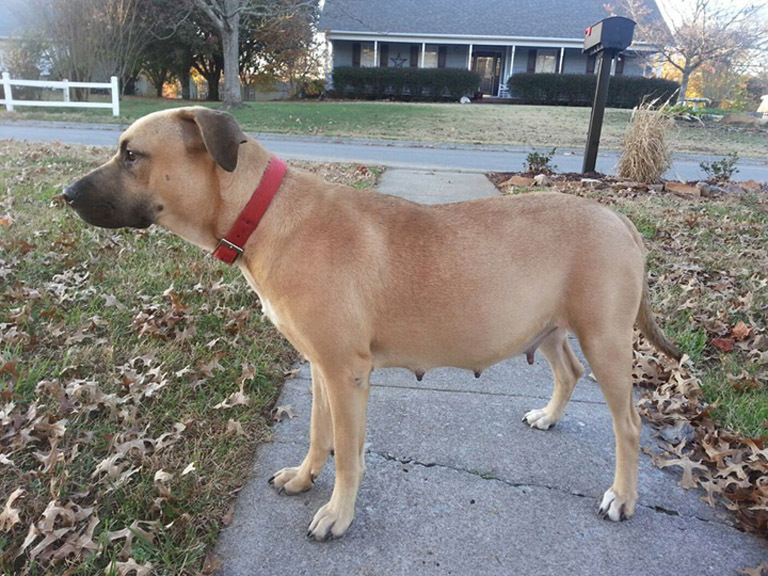 She was pulled from the home and was slated for transport to rescue, but she looked pregnant. Her pregnancy was confirmed, which meant she was not eligible for transport. It was thought that she was carrying 3-4 puppies. 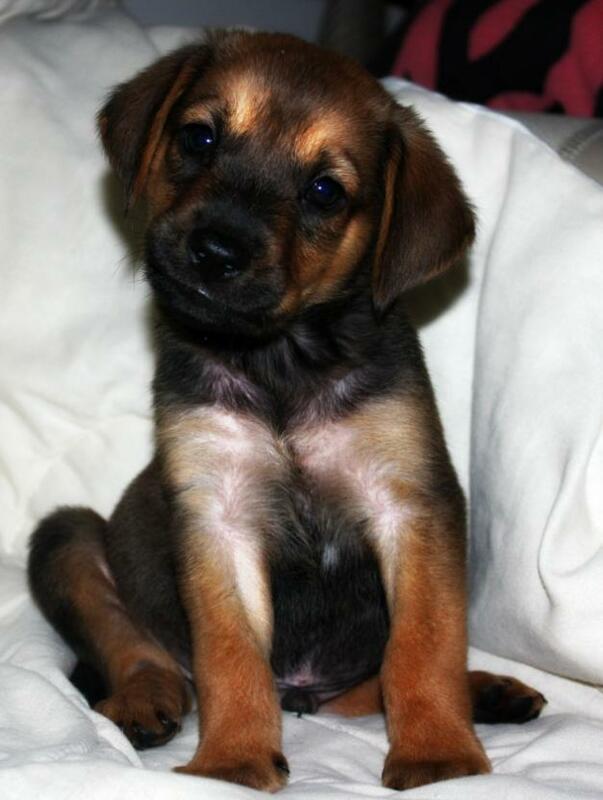 Thankfully, a volunteer agreed to foster her until her puppies were born and weaned, and a rescue stepped in to help. Homeward Bound Dog Rescue agreed to take the dogs into rescue as soon as they were weaned and vetted. At that time, we were called to see if funds could be set aside for their vetting. 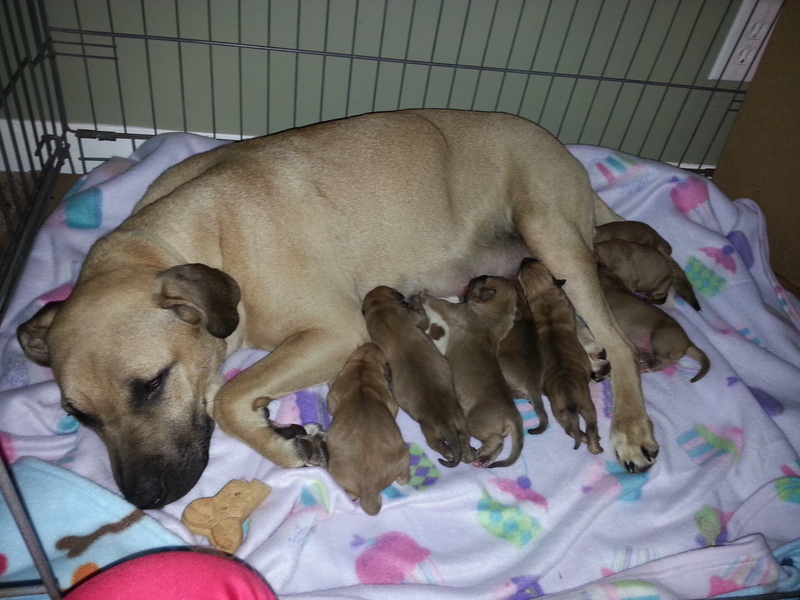 In November, Molly delivered nine puppies! The pups are doing great, and it’s time to get them vetted. The estimated cost for their care is $1,400. We gladly paid $500 directly to McArthur Animal Hospital in Oak Ridge where they are accepting contributions. Soon the pups will be on their way to a New York rescue where they’ll be placed in loving homes. Below is a picture of Molly pregnant with her nine puppies! 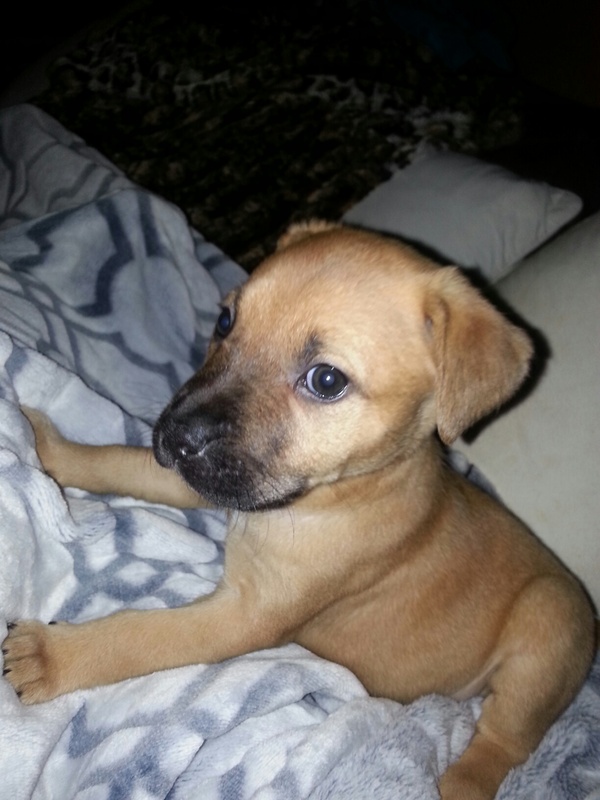 Below is one of the puppies pictured at two months old. Helping Paws Animal Network paid $500 toward the Happy Paws Kitten Rescue vet bill this week. Here are the pictures and stories of some of the cats helped. 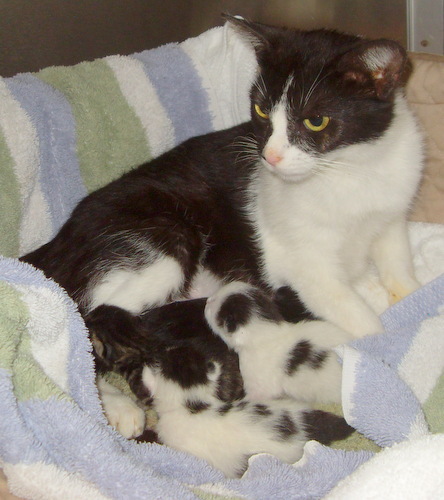 The black and white cat with kittens is Molly. She was a dear cat that lost her fight with a brain disease, but Happy Paws Kitten Rescue found a foster cat mom for her kittens. The kittens were only four days old when she died. They were all adopted into great homes. HPAN helped with her medical bill. Lili, the one that looks like Frankenstein’s cat, bless her heart, got all her stitches removed and is doing great so far. 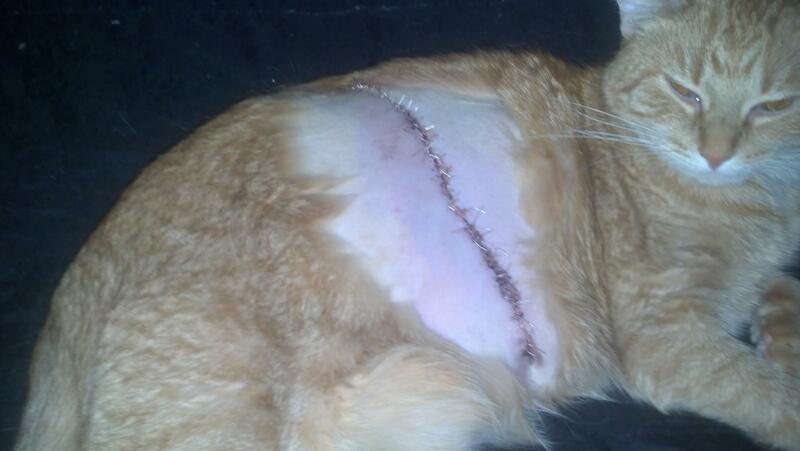 Marshmallow, the white cat, had surgery in October to remove strings in his stomach. He did great after surgery. 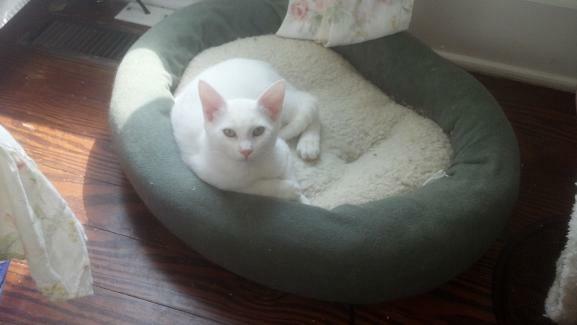 Four cats, including Marshmallow, HPAN helped to get altered. Martin is the only one not listed. He had a huge surgery this summer. After swallowing massive amounts of string, he was dumped to die at the vet by the owner. Of course we couldn’t let that happen. He had a full recovery and was adopted into a great home. Donations to have helped with everything from supplies to spay/neuter and surgeries! Molly is pictured below with one of her puppies, Hogan.